cover is fasten to shoulder belts of carrier or shoulders created by woven wrap, and the width and height of the cover can be regulated by rubber drawstrings sewn around the cover. Everything is easy to use. 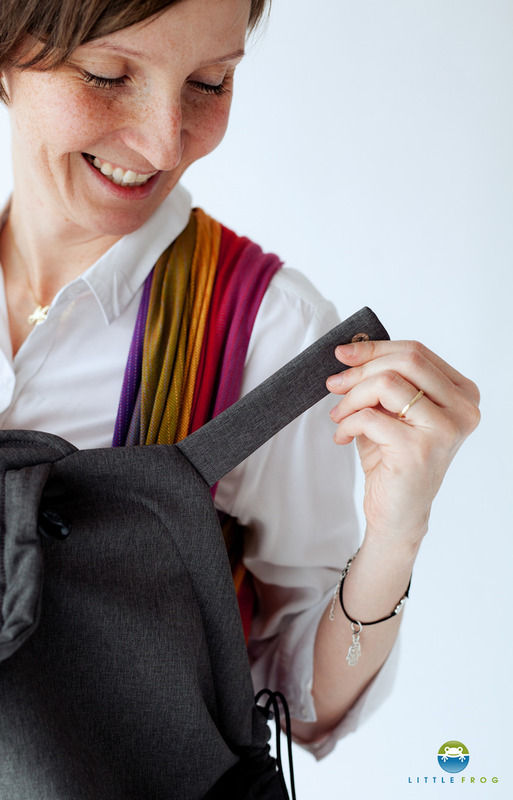 ATTENTION: COVER IS NOT CUSTOMIZED TO RING SLINGS. 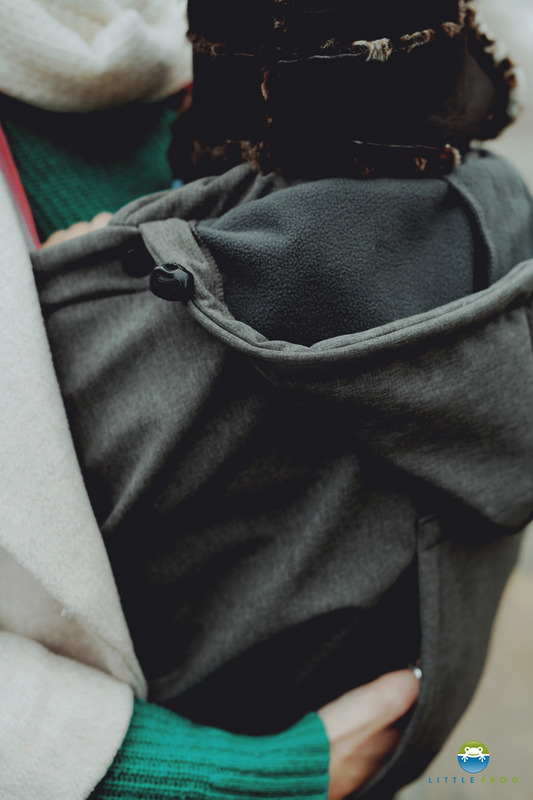 The covers are designed for parents who carry their children and they are perfect to use during autumn and winter days - in all weather condition. You can enjoy the closeness all year-round any weather. With our Cosy Frog Children are perfectly protected from the wind, rain and cold air. In addition, cover is equipped with a hood for the child, which perfectly protects the head and neck. 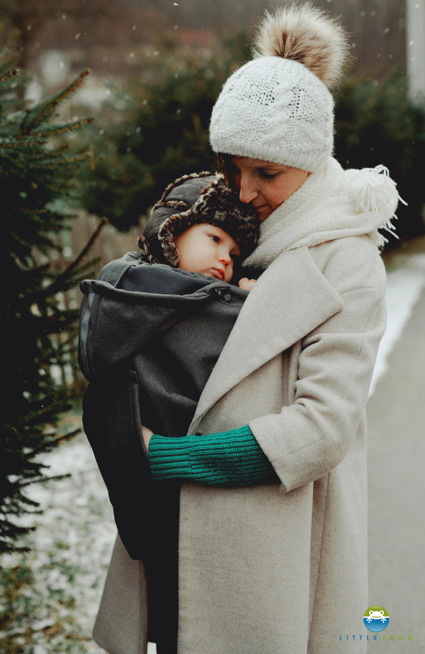 Especially for parents we added to our cover a comfortable, handy pocket where you can warm your hands while taking a walk.